A small drip in the vanity pipe turned into a massive spewing of water over night. The Peoria home owner turned the water off and had a plumber in to fix the source. SERVPRO of Peoria/West Glendale arrived to mitigate the wet and damaged materials. We then dried the remaining cabinets with our air blowers. There are many ways to recognize mold in your home. SERVPRO of Peoria/West Glendale can help you find it and remediate it! Our mold remediation team are expertly trained and ready to tackle any job of any size! If your business suffers a water loss like the one pictured here, it is critical to take care of the moisture quickly in order to prevent further damage to your facility. Call SERVPRO. We are faster to any size disaster. In this image, you can see the carpet was soaked in this facility when it experienced a water loss due to a broken pipe. We responded quickly and had the facility back up and running in no time! 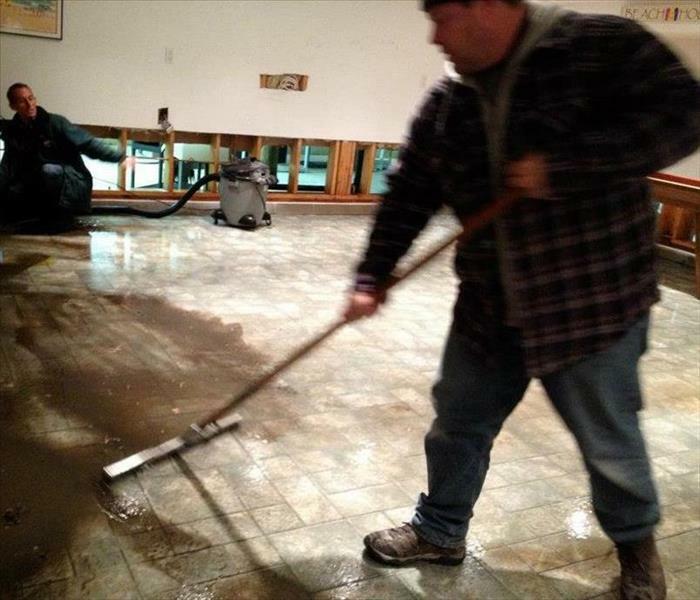 The carpet pictured here was soaked by a water loss and our team was brought in to dry and repair the building. If your commercial building suffers damage due to a water loss, give us a call! Our team was called in to repair the damage to this shop after a large water loss impacted the building. 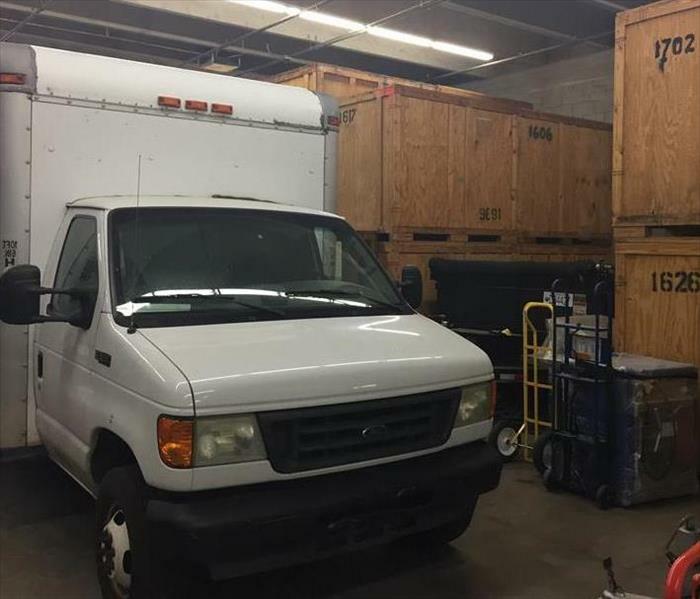 We were able to repair the damage and get them back up and running quickly. A water loss in this commercial bathroom also resulted in the mold you see on the wall. When we arrived, we immediately began working to extract the moisture and remove the wet, moldy material from the building. When this facility experienced a water loss, our team was brought in to take care of the repair and cleanup of the facility. If your business suffers a water loss, call us. We are faster to any size disaster. This mold covered wall that you see in this image, was the result of a moisture problem that wasn't noticed right away. Moisture that is left for more than 24-48 hours can cause mold like this to begin to grow. 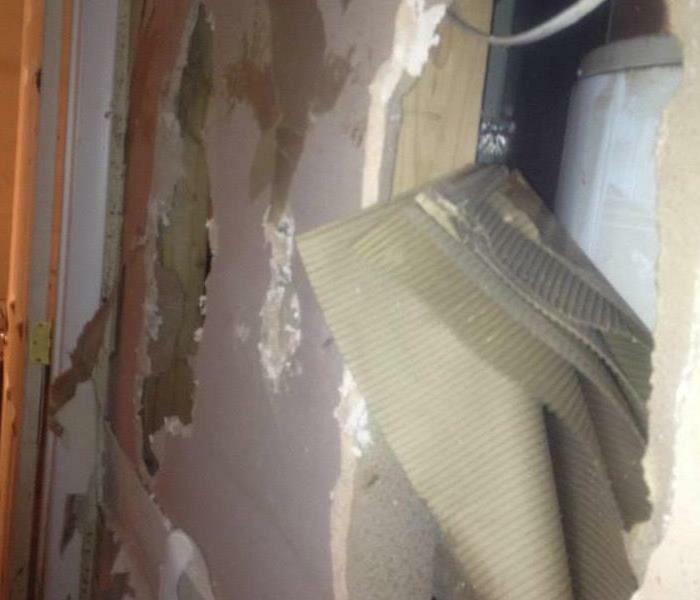 A water loss in this home caused serious damage to this kitchen. We had to remove the flooring and perform flood cuts on the walls so that we could remove damaged material from the home. Our team was called in to repair the damage to this home after a moisture problem caused a serious mold problem to develop. We were able to take care of the moisture problem and the mold in a short amount of time. A moisture problem that went unnoticed for a short period of time caused the mold problem you see in this image. 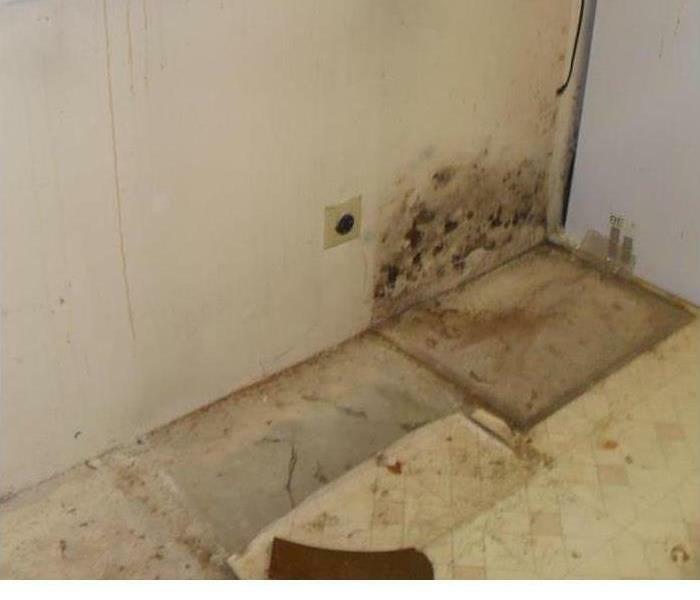 If you have a mold situation like this in your home, give us a call! Our team at SERVPRO worked to get the storm damage off of the floor and quickly removed drywall. The quick response time to the property kept other damages from occurring to the rest of the commercial property. SERVPRO in action! This is a picture of our team at Peoria / West Glendale, in action during Hurricane Sandy. Our team worked quickly to get this community back in their homes during this tragic time. 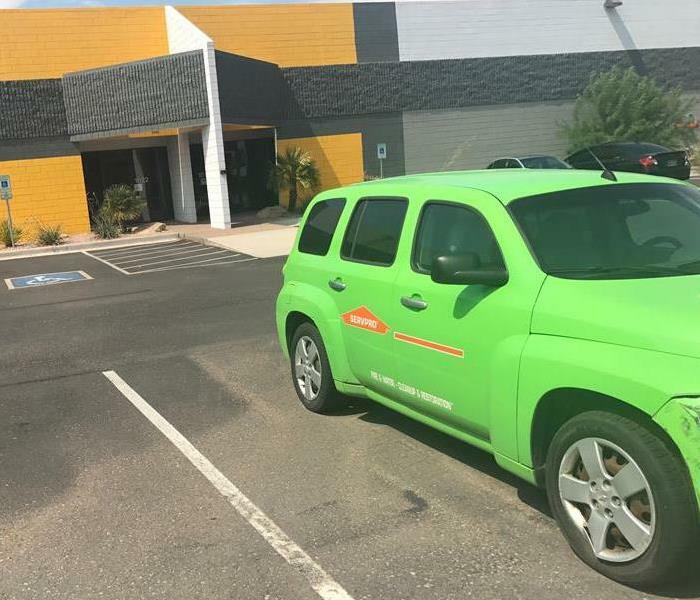 SERVPRO of Peoria / West Glendale is ready for any Emergency Services in our community at any time. Our teams are trained to assist in any damages such as Fire, Water, or Mold. Residential and Commercial. SERVPRO serves customers in many disasters. Fire content is always ready in the warehouse any time of the day morning and night. Always ready to serve our community. Call us anytime at (623) 376-9779. 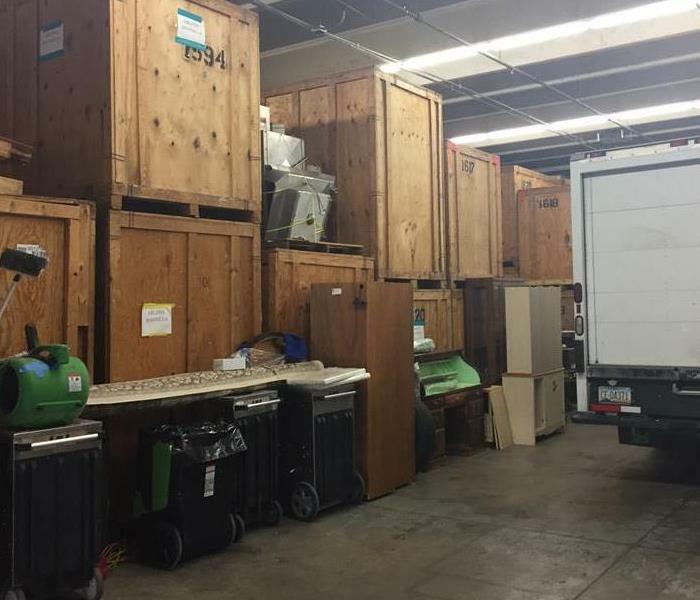 SERVPRO of Peoria / West Glendale has their warehouse ready for any restoration clean up to be dispatched in any circumstance Residential or Commercial. Our team works to make disasters look "like they never even happened." SERVPRO Peoria / West Glendale responded to this fire in the Young home. The quick response to this customers home was critical to get started on clean up to keep from any other damages from occurring. This is the aftermath of the kitchen fire at the Youngs home. The ceiling had to be tore down from where the fire was. The clean up was quick due to the help from SERVPRO. This was after a kitchen fire in customers home. SERVPRO was called in for clean up. If you need assistance in fire clean up contact us 24 hours 7 days a week for your restoration needs. SERVPRO of Peoria / West Glendale responded to this customers home to find fire damage. The customer was satisfied with the quick response to clean up and getting their kitchen back to normal and in working conditions. SERVPRO responded to customer home to find damage from a fire. The ceiling was ripped down to get to damage to start clean up. The customer was surprised by the quick response time from SERVPRO. This is a picture of the clean up after kitchen fire in ceiling. SERVPRO was called and responded to clean up to get customers kitchen protected from insulation damage along with water damage from fire. SERVPRO of Peoria / West Glendale responded to this kitchen after flood. After tear out of partial kitchen they found mold. They took action and started clean up in this customers home. Customers were very satisfied with the SERVPRO process. This was the after demolition of kitchen with mold damage. SERVPRO worked to get removal done in a timley manner. 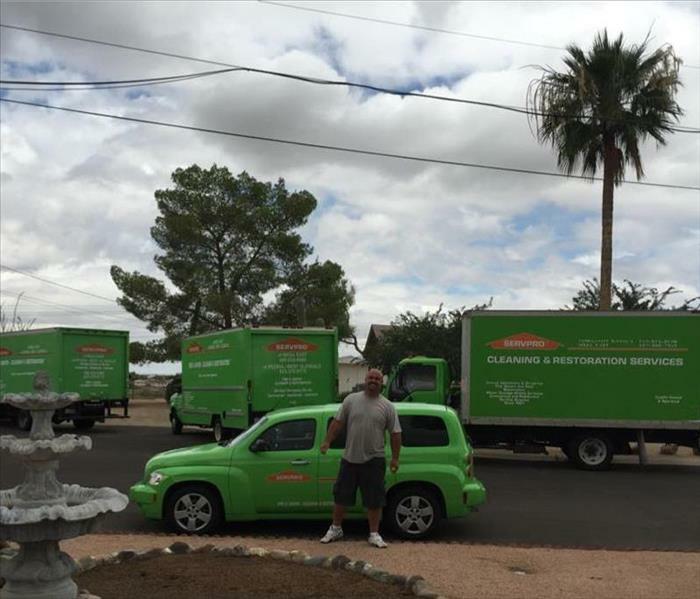 If you need help with clean up or restoration contact SERVPRO of Peoria / West Glendale. This is a customers kitchen before demo of mold damage. SERVPRO was called and arrived to find damage on walls. 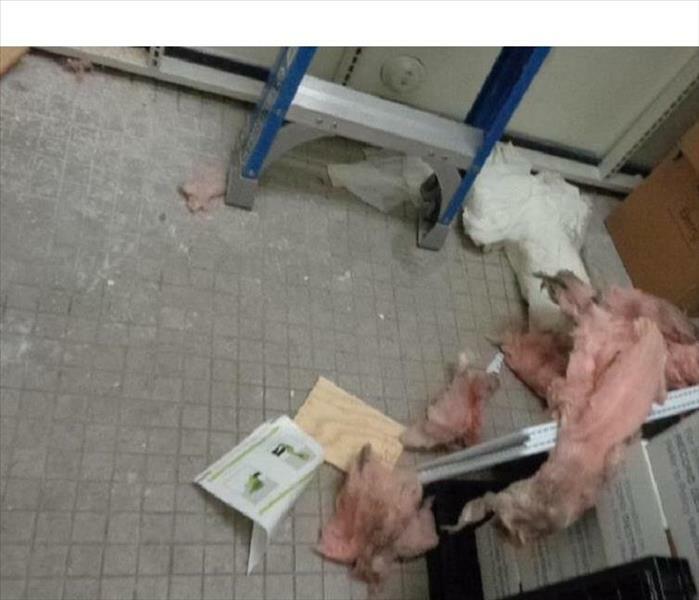 They did an excellent job at making sure the damaged drywall was removed and cleaned up properly. This was the aftermath of kitchen after demolition of kitchen finding mold covering kitchen walls and flooring. SERVPRO worked promptly to complete clean up from mold. The customer was satisfied with the efficient clean up process. SERVPRO of Peoria / West Glendale assisted in mold removal of customers home. If you need assistance with mold in your home or business please contact us at (623) 376-9779 24 hours a day, 7 days a week. SERVPRO of Peoria/West Glendale assisted in the clean up of mold damage on walls of customer home. The mold was spread throughout the kitchen and was treated and cleaned by the team. Quick response is crucial to keep other areas from being effected. SERVPRO assisted in the cleanup as the ceiling filled with water before flooding the living room of this customers home. The water damaged destroyed flooring and furniture in more then one room of the customers home. This was a picture of a customers home with ceiling water damage. The entire living room was filled with water including the furniture. The team at SERVPRO of Peoria / West Glendale did an excellent job in clean up process. SERVPRO arrived at customers home after water damage. There was water in the entire bathroom. The aftermath of the water was quickly resolved and clean up began. The toilet was removed and space dried before reinstallation took place. 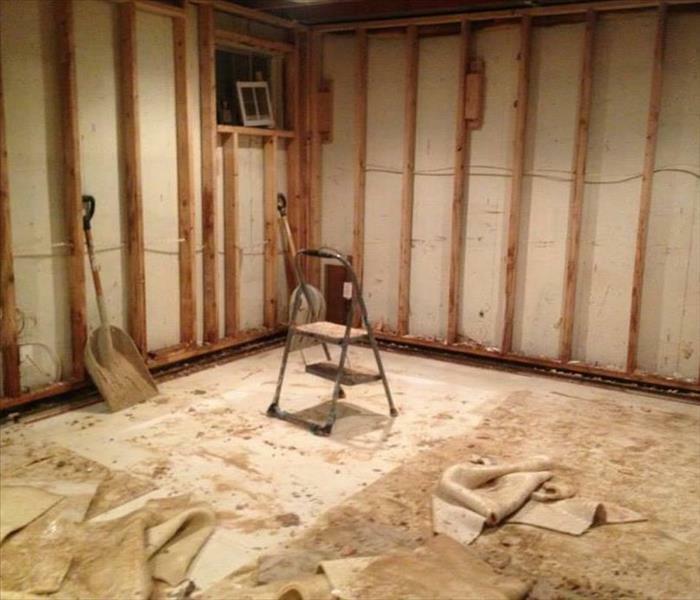 This is a picture of the process of drywall removal out of customer garage after water damage. The customer was amazed at the execution of SERVPRO of Peoria / West Glendale in getting out to customers home in a timely manner. This was the garage filled with water damage after a severe storm. SERVPRO assisted in the demolition and drywall removal along with clean out of garage to start the clean up process. The work was done quickly. 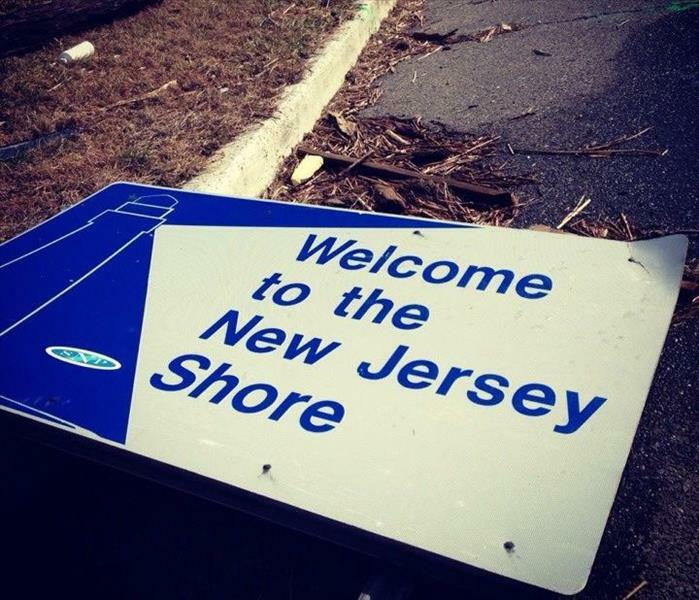 SERVPRO of Peoria / West Glendale responded to this storm event in New Jersey. Our team had the man power and equipment to help several people in need. If you have any questions about water damage cleanup, contact us at (623) 376-9779. 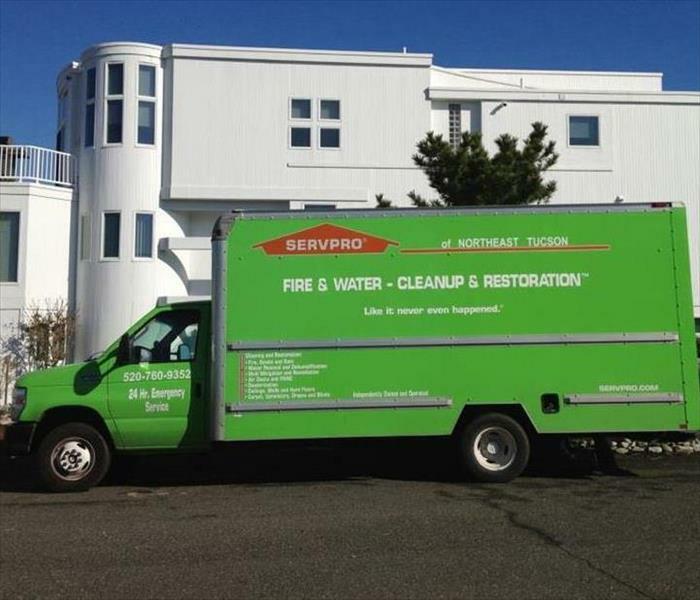 SERVPRO helped aftermath of storm damage that hit Long Beach Island, New Jeresy. 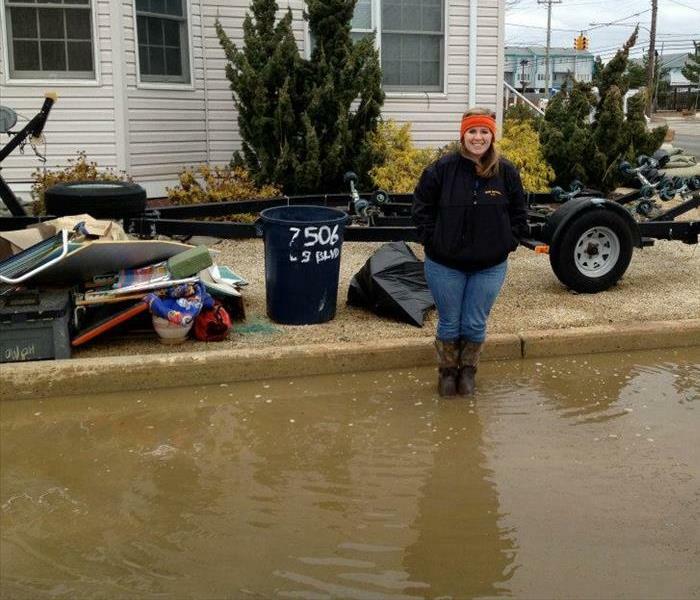 SERVPRO of Peoria / West Glendale assisted in clean up in Long Beach Island, NJ after Hurricane Sandy. Our team helped in assisting the community get their homes back to livable conditions. 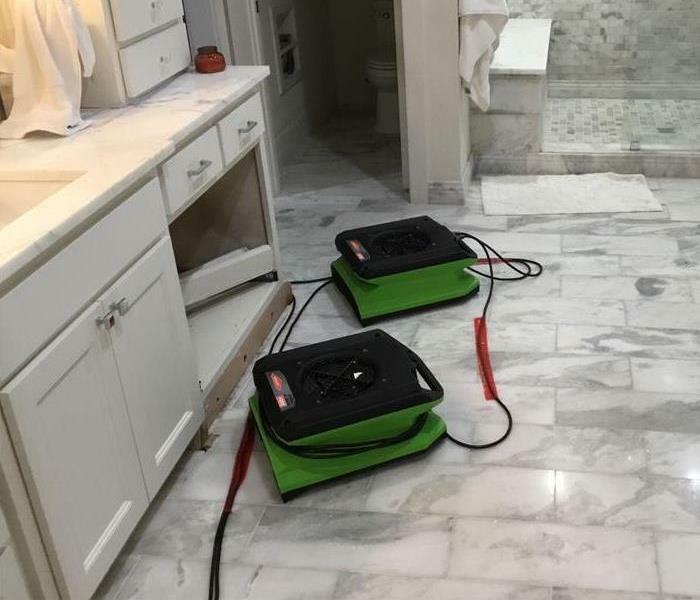 SERVPRO helped assist in September of 2014 flooding in Boulder, Colorado . This house had 13 feet of water inside, and flooded the whole basement up into the main level. SERVPRO helped get drywall removed and floors taken up for quick clean up. 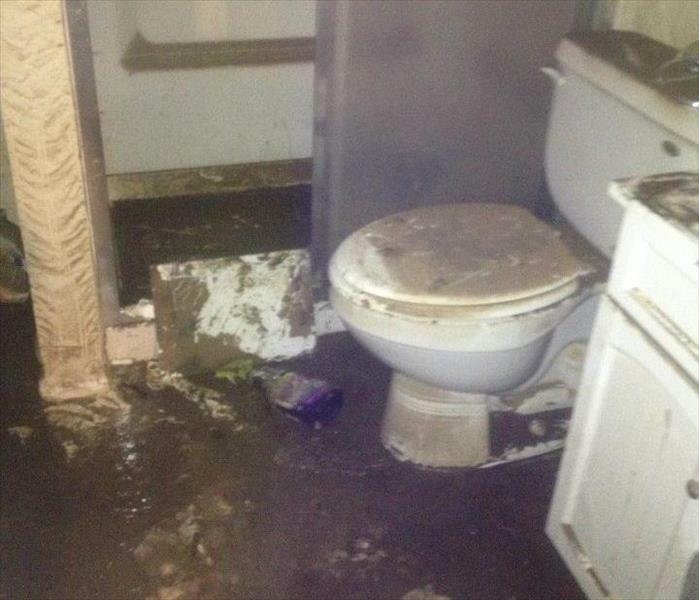 SERVPRO cleaned this flooded bathroom in Colorado. This house had water from the basement to the main level. SERVPRO helped make this house look like water damage ever existed in a timely manner. 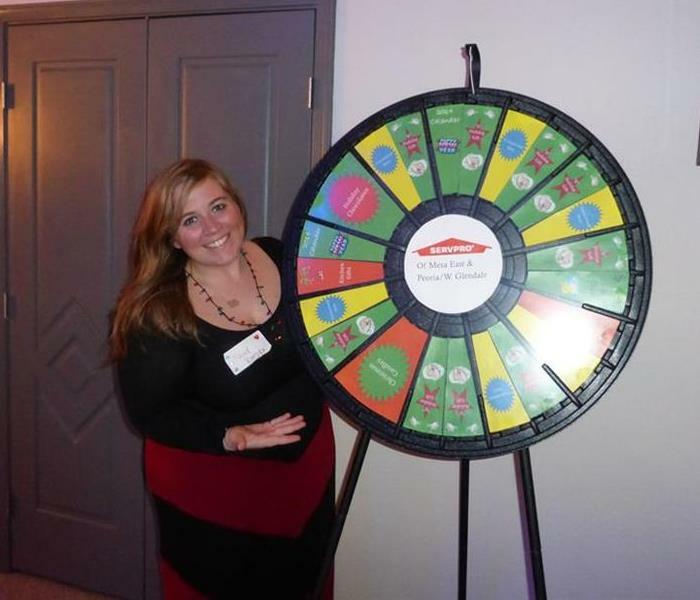 Every December I help plan a Christmas Party for my Property Management Organization that I am the social chair for and get to be in charge of the awesome prize wheel and give away SERVPRO goodies. Making it look like it never even happened. SERVPRO assisted in this water damage. Feriz taking pictures with our response vehicles and team outside of a residential water loss. Contact us for your restoration and clean up needs. 24/7 Emergency Service.